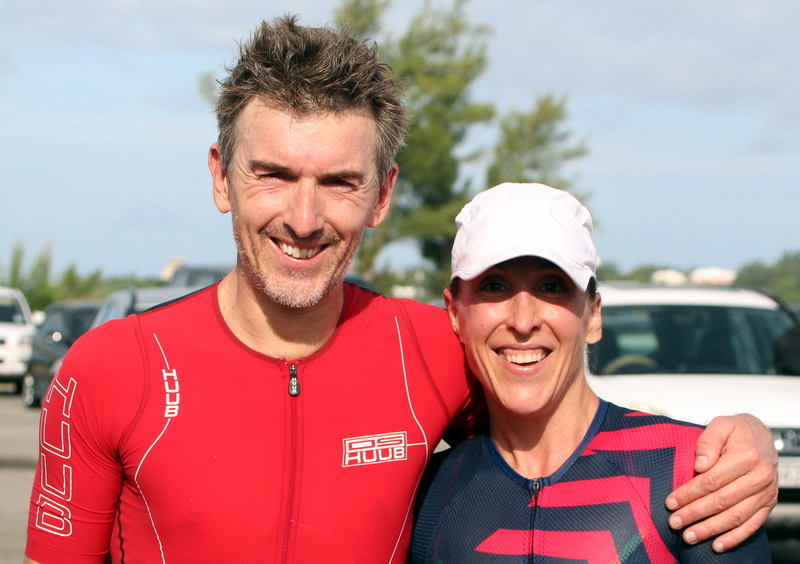 Philip Mace and Maddie Durkin were crowned the Male and Female AON National Sprint Triathlon Champions at Southside. Mace had he hands full having to overcome youngster Nicholas Pilgrim who led the entire race until the final lap on the run when he Mace was able to have just a little extra in the tank to pull out the victory. Mace was clocked at 1:06:46, Pilgrim was second in 1:07:19 and Alan Potts was third in 1:09:05. On the lades side Durkin was the second female out of the water, but she had control of the race after taking the lead on the Bike course, she would finish 8th overall with a time of 1:15:08, Louise Wells was the second female finisher and 10th overall clocking 1:15:37 and Amber Mehta was the third female finisher and 13th overall with a time of 1:20:42.